SAN LUIS OBISPO — Texas country music sensation Casey Donahew will bring his legendary live show to the headline concert at the 79th annual Poly Royal Rodeo at Cal Poly’s Alex G. Spanos Stadium. He will perform after the rodeo Saturday, April 13. Donahew has risen from a favorite in the Texas music scene to a national sensation, with 16 No. 1 singles, all released independently of major record labels. The Friday evening rodeo is slated for 5:30 p.m. Tickets are $5 for children ages 2 to 10; $25 for students, $30 for general admission and $45 for chair-back seats. Admission is free for children under 2. 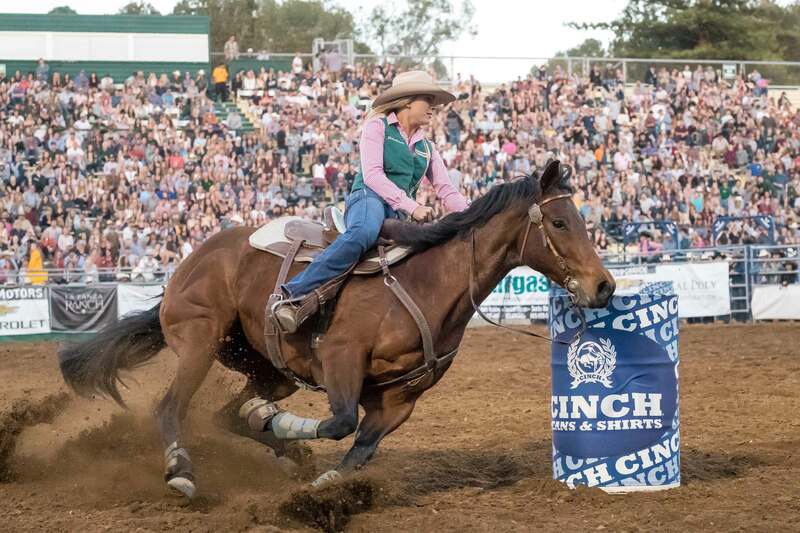 The Poly Royal Rodeo is a marquee event on campus during Cal Poly’s annual Open House. With a performance each night, followed by a concert Friday and Saturday, many of the 45,000 people on campus that weekend will have an opportunity to enjoy the event. Associated Students Inc. (ASI) is hosting the concert performances, which are open to the public. Tickets are on sale at https://tickets.calpoly.edu. Proceeds from the event will benefit the Cal Poly Rodeo Program. For concert updates and information, visit ASI Events on Facebook at http://www.facebook.com/ASIEvents/. Photo information: Images from the 2018 Poly Royal Rodeo, by Phil Doyle.